The following is a transcript after a late night session down in the listening room, recently. Me. “Right. But listen here.” Pause. The bit about the “late night” might have been an exaggeration. I don’t really do any of that “late night” business, except when I’m on the road with the PTA crew, because they’re all bad men and have no respect for old people. Usually, evenings find my wife and I sitting on the couch, sipping wine while streaming Hulu or Netflix, and explaining to “The People Who Are Wrong” out on Facebookland the many (many) errors of their ways. Before I tossed my IT career off a cliff, I worked a typically Corporate American (i.e., long AF) week. The kids were little, so we ate dinner kind of early, but after that, I would steal a magical couple of hours, usually between 6pm to 9pm, to do “audio stuff” before I turned everything off, poured myself a tasty adult beverage, and rejoined my life wife. That was really about as late as things got. But a couple of weeks ago, I got to sit down and play with Gary Dews’ new BorderPatrol DAC SE, and had me a bit of solo fun. This was post-(job)-cataclysm (jobaclysm? ), so it was in the middle of the day. The DAC review was a bit unexpected – Gary just brought it by – but it was so disruptive, it ended up line jumping a review-in-progress. 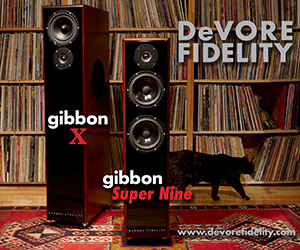 Namely, this review, of the wonderful DeVore Fidelity Gibbon X loudspeakers. These were the loudspeakers I was using to “test” that line of DACs. Why? Because they let me hear everything. John DeVore assumes the position at Chez Moi. Baxter waits. But I should back up a step or two. John DeVore makes loudspeakers. I’m hoping you know that, prior to hitting this page, but on the off-chance this fact has escaped notice, consider this as notice served. I am a fan. I think I ought to get that out of the way right up front. I’ve known Mr. D for most of my so-called career here in high-end, and here at this end of things, I consider him a friend. With his looming visage (he really is close to 12 feet tall) and his quiet presence (I think he’s reserved mainly so as to not frighten little reviewers), John is witty, talented, and insightful — if he weren’t designing speakers, he’d probably be designing laser targeting systems for NASA spacecraft. He’s wicked sharp. His speakers have a novel character to them – I say ‘novel’ because I don’t know anyone quite taking quite this approach. 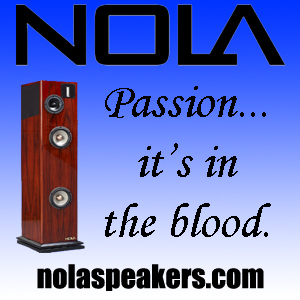 That is, he makes easy-to-drive loudspeakers that are timbrally rich, dynamic, and look sharp. This last bit is kinda weak-tea, but you have to realize that the vast majority of loudspeakers claiming ink in today’s high-end have a nasty tendency to look like villains from Doctor Who. DeVore’s approach is refreshing, clean, and for those of us with a vintage fetish (read: vacuum tubes, low-power amps, and analog front-ends), DeVore marks one of the few relative newcomers entering the loudspeaker market that seems to share those same character flaws interests. His designs are generally contrasted with single-driver loudspeakers, of which there are thankfully fewer and fewer, and horn speakers, of which there are sadly fewer and fewer. And for good reason, with the Gibbon X being a conspicuous case in point. 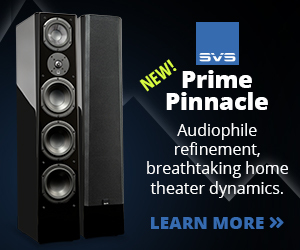 The TL;DR of this review is quite succinct – I love these speakers. They sound huge, and have all the scene-stealing stage presence of the demigod Maui from the movie Moana. I’ve been using the Gibbon X for a several months now, courtesy of a visit from Mr. DeVore (he really is appallingly tall). Long-time readers will perhaps recall that I’ve been excited about these speakers for years, since having seen a (very) early version at CES waaaaay back in 2013. Two years later, I got a peek at the much-closer-to-ready version at CES 2015. Over the last several years, the design has evolved rather markedly. The quartet of front-facing drivers has seen two of them emigrate to the sides of the cabinet. The drivers themselves eventually went through an American Idol competition before landing on DeVore’s “dream team,” and, of course, there are the hallmark bamboo cabinets. These cabinets are stained a rich reddish-brown, and like the other Gibbons, there is a piano-black front and back panel. Unlike my Orangutan O/96 speakers, the Gibbon X have speaker terminals on the rear and not the bottom of the cabinet (thank the Maker), and there are a pair of circular rear-firing ports just above the very bottom lip of the speaker cabinet. The cabinet is symmetrical, 9 inches side-to-side and 18 inches front-to-back. It’s also rather tall, at 45 inches when spiked off the carpet. 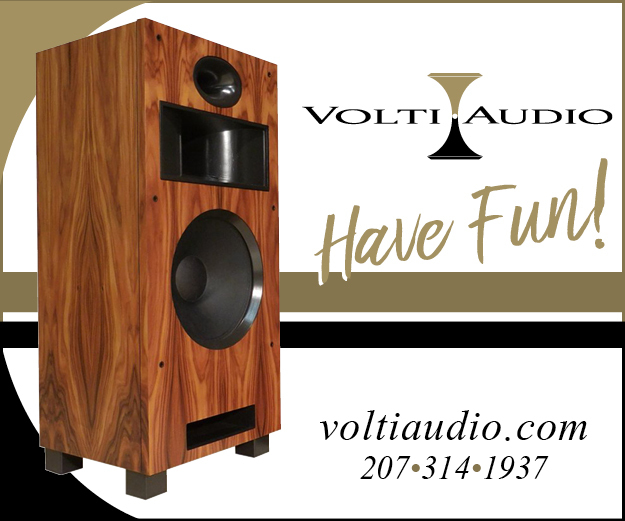 The center of each side-firing long-throw woofer sits at 30 inches off the floor, and yes, there is one woofer per side. 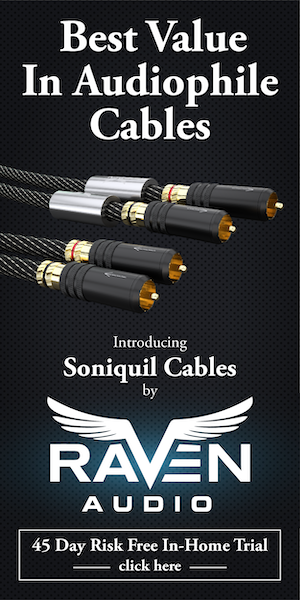 DeVore claims a 92dB sensitivity, but also an absurdly easy-to-drive load, with a minimal impedance of 7.3Ω and a max of 16Ω. 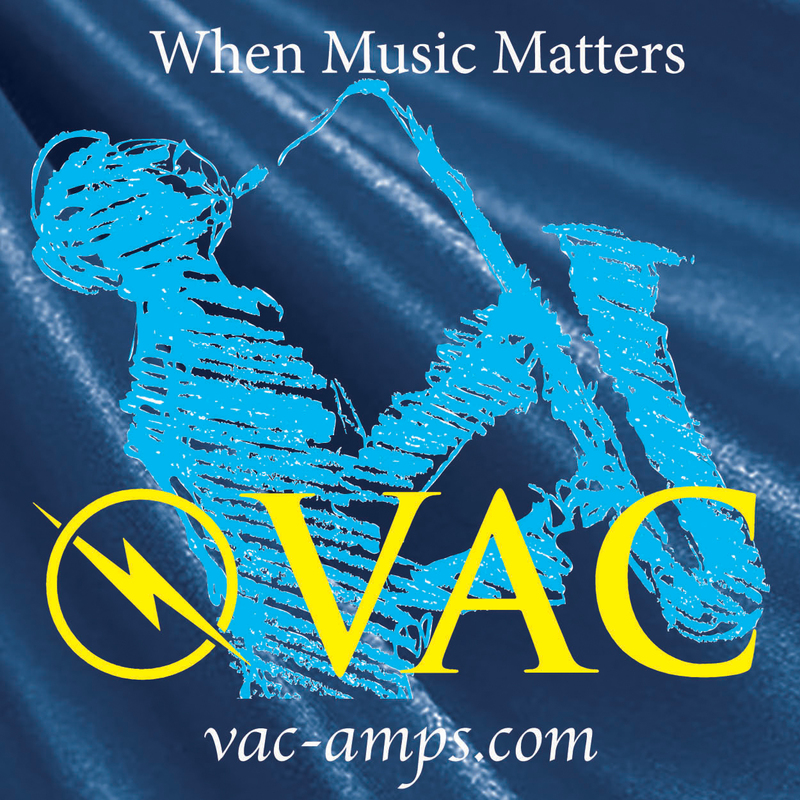 Overall frequency response is claimed to be 23Hz-40kHz, which is about as full-range as most of us will ever want or need. I had absolutely no issue whatever driving these speakers to obviously unhealthy volumes with a 7wpc SET amplifier from BorderPatrol (the glorious S10 EXS), but spent most of my time taking advantage of the linearity and strength in a 20wpc push-pull amp, also from BorderPatrol (the also-glorious P20 EXS). A Pass Labs INT-60 did time as my representative solid-state standby, just for grins. A well-damped listening room like mine was pretty good, but my suspicion for all things DeVore is that more space is better space. My front wall is only 14 feet across, and while I could separate the speakers quite a bit and achieve truly epic sound staging, this was one of those times that I wish I had 16 feet or even more, not to separate the speakers but to give them more breathing room, well away from the sidewalls. Your mileage may vary. I found that sitting farther back from the speakers, also, yielded better results. I usually opt for something around 6 feet, but with the DeVore’s, eight to 10 feet (or more) really helped the coherency lock-in and maintained the sound stage. Toe-in was optional (room-dependent, might be a better way to put it), and I tended to shoot for somewhere close to straight-ahead (no toe), as that yielded the best fill vs. expanse ratio. Again, it’s worth mentioning that soundstage was epic – huge, outside-the-speaker imagery, with expansive height and depth – again, assuming the proper distance from the speaker was achieved. My Lobster Chair put the tweeters perfectly on-level with my ears. I ran the speakers with all manner of music. I’ve been acquiring a growing stack of magnetic tape to feed my UHA Phase 9 tape deck, and even got to spin some CDs and SACDs, courtesy of a PS Audio DirectStream Memory Player. Vinyl came courtesy of my old TW Acustic Raven turntable. With DeVore, Life was Good. First thing to notice, did I mention that they are full range? And by that, I mean, hammer-of-God stuff is now perfectly in-bounds: PLAY BALL! All of you electronic dance music fans can rejoice. And yes, pop music – like Lorde, for example – can be faithfully presented in its full artificially subsonic majesty. Quite frankly, it’s kinda breathtaking — very few speakers (at least at, or near, this price point) can really do sub-30Hz bass with authority and slam (at least, not without powered woofer cabinets). Call me names, if you must, but this kind of bass grip really gets me upright in the chair, eyes wide, hands sweaty, and attention riveted. The midrange presentation is “not forward.” I have a pair of Living Voice OBX-RW loudspeakers, and those suckers pulled the midrange out far enough for it take a seat in your lap and lick your neck. This monkey isn’t that kind of cuddly. Instead, think: seamless. I think others may opt for the term “coherent,” and I’m not going to quibble with them. Given the nomenclature, I tend to think of these new DeVore’s as far more “gorilla” than “chimpanzee,” though I think that’s perhaps pushing the analogy. The point is, they’re muscular … if, and when necessary. The Gibbon X is also a bit more modern than horn-fans will be used to, but I think it fair to say that the goal with the DeVore was “accuracy” not “wet,” so I find this too, completely reasonable. That said, detail is exceptional. The caricature about the cymbals, above, is illustrative, and the episode around the “Fanfare for the Common Man” that I referred to in the BorderPatrol DAC review was with and because of these Gibbon X loudspeakers. Getting back to the Living Voice OBX-RW for a moment, the bass on those speakers reaches into the mid-30Hz region, and that’s being generous. The difference between those workhorses and the new DeVore, in the down-low, is stark. Like King-of-the-North Stark. Boom. As I mentioned, Lorde’s Pure Heroine album from a few years back has some typically pop (read: overdone) bass notes. The disc really ought to come with the warning label: Needs Subwoofer. On the OBX-RW, the sound is punchy and powerful, especially on tracks like “Royals.” But flipping over to the Gibbon X on that same track became a bit dangerous – poor Jesus got knocked right off of his perch on a nearby shelf. I’m sure there’s something deeply problematic to read into that, but I took it as an indication that leaning stuff against the wall was probably a bad idea. Pragmatism: It’s what’s for dinner. Another point of comparison: the Zu Audio Druid Mark V came through not too long ago. At $6,750 for the current iteration (as of this writing, now in Mark VI), the Druid loudspeaker won international acclaim over the years for its incredible bang-for-the-buck performance. It’s a remarkable speaker, and arguably, the one that landed Zu on the map. Time marched on, of course, and Zu has a large and varied portfolio today. Their Druid, however, is still out there and over time, the speaker has only gotten more interesting, more polished, even as it got more expensive. But at 10Ω nominal and 101dB sensitivity, the Druid is still one of the very few out there in today’s high-end audio land that speaks to the low-power-amp cult crowd (a crowd I happily count myself a part of). For my part, I think the Druid is a total hoot – I don’t have another speaker that can speak that clearly and that loudly. If I was fair, or interested in being helpful, I’d tell you that the DeVore Orangutan O/93 or O/96 would be a great comparator to the Druid from Zu, but I say balderdash and poppycock to that. We actually have spent quite a bit of time with the O/96 (a couple of times, see here, here and here), but I want to say that even at 92dB, the Gibbon X is clearly cut from that same low-power-friendly cloth. Yes, more power yields louder results. Not better. Louder. Seven watts into the Gibbon X is too loud for regular listening. 60 watts into the Gibbon X may be louder – but I wouldn’t know, because it was too loud already. Anyway, the point, DeVore’s new leading man ape is made for tubes. Okay, not really, but it’s as if. 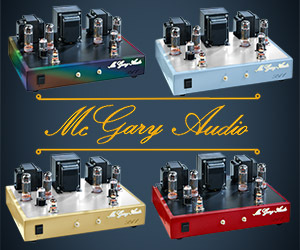 So, if you have a wee-bitty amp, you will be surprised at how friendly this new DeVore is. Like I said, seven watts from a 300b tube and the sound was flat, linear, coherent and kaboom powerful. Me likey. Compared to the Druid, the Gibbon X is far more full-sounding. The Druid, the once and future king of jump, is startling – attacks are sudden and panic-inducing. But even given that utterly-addicting nature, the wide-bander has a habit of sounding too linear, and depending on the amplifier partnership, can even come off as clinical. By contrast, the Gibbon X manages to hit harder & deeper than the Druid, and is dramatically more polished in doing so. To be fair, the Druid is a 1-way + a supertweeter, while the Gibbon X is a full-on 3-way, so again, coherency in the latter is in a completely different league. Timbre also takes on a greater reality with the Gibbon, and as I mentioned, either end of the frequency spectrum appears to reach considerably farther. The only category where the Druid comes out unambiguously on top is related to its efficiency – again, it just bounces. Horn fans may gravitate that way, given the two and measured only on that axis, but I’m not sure anyone else will. This Gibbon is just offering too much, across too many other measures. Of course, it is also >2x the price. It’s here that the Orangutan O/96 might split the difference. Another 10Ω nominal speaker, the O/96 is also 96dB. The jump from 92 (Gibbon X) to 96 (Orangutan O/96) is significant. In theory, the O/96 can produce almost 2x as much sound for the same amount of power. In practice, this is a little less interesting as music played at 90+ dB can be physically damaging, so I can’t comment there. But I will say that the apparent difference in sound, which I might be tempted to describe as “jump factor” (relating to the speed of attack and the total dynamic swing available to the speaker), is not dramatically different between the O/96 and the Gibbon X. I suppose this is good news for prospective Gibbon X owners, at least, but for whatever it’s worth, neither of the DeVores can match the Zu here. But at the risk of being redundant, that’s only the one point and it fails to describe the arc. 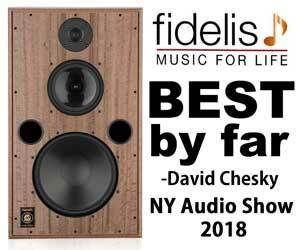 As I noted in my own review of the $12,0000/pair O/96, the low-power delight available in the fat little speaker from DeVore was unparalleled in my experience. A low-power-friendly speaker, with grace, tone and bounce, is not rare. It’s far more rare than rare. No one really does this anymore. 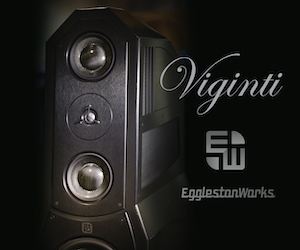 Sure, there are still some single-driver loudspeaker makers out there – no offense intended to that crowd – and there are some fun designs in there, to be sure. But that’s just not a cake you can serve to most audiophiles. Even Zu added a super tweeter. No, here at DeVore, there’s a distinctly vintage flavoring, a respect for the past if you will, and executed with a finesse that’s damn near unique. I like that a lot. And the O/96 is the culmination of that way of thinking (… at least it is for now). The Orangutan O/96 has been in-house since 2013, and it’s been on my Editor’s Choice list for almost as long. It’s fun, it’s direct, it’s immediate. It’s also warmer and fuller in the midrange than the Gibbon, even as it’s more fleshy than muscular in its bass reproduction. The Gibbon X and the O/96 perhaps share more than you might think. The high-end presentation is quite similar – extended and not-reticent, with excellent air, sparkle and detail. The mids, however, are not rather similar. As I’ve mentioned, the Gibbon is more linearly coherent; the O/96 is more fulsome. 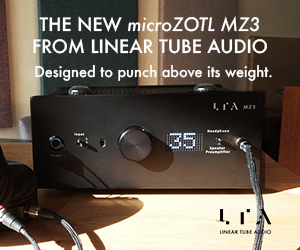 For those keeping track, this would put the Gibbon X squarely between the O/96 and the Zu Audio Druid. Bringing in the Living Voice OBX-RW, I think we’d line them up like this: OBX-RW (mids very forward) –> O/96 (forward) –> Gibbon X (linear) –> Druid (mid-recessed). Down low, it’s very different. Power and control, with a chest-thumping room-grip, versus a more … liberal … approach. Again, in terms of linearizing these four, we’d get a bass prowess lineup looking more like this: Gibbon X (holy crap) –> O/96 (woo hoo!) –> Druid (solid) –> OBX-RW (light). Again, do note that these are the results I got with my BorderPatrol single-ended amp. 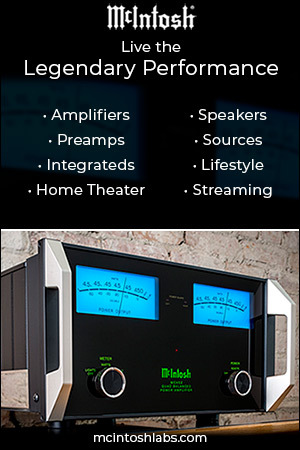 Moving to a solid state amp (the Pass Labs INT-60, for example) tightens the bass response of all four speakers — but it does not necessarily make any of the speakers sound better, just different. YMMV. I think this new Weapon X from the MonkeyHaus up in Brooklyn, NY, is a show-stopper. Played at volume, it’s literally a stunner. The Gibbon X is room filling, precise, and gloriously immersive in its presentation. You can get inside of your recordings with tools like these, and with the Gibbon X fronting your system, you can safely start investing in the good food they want and need in order for them to fill your heart, mind, body and soul with the music of the spheres. And I’m serious about that, they’re going to sound better and better, the better and better the gear that is feeding them happens to be. And yes, these Gibbons will let you know every time the diet improves. If I have any niggles or doubts, it’s about the side-firing woofers. They deserve space, or, failing that, a really buttoned-down room. But I think “space” is a good thing to keep in mind. You want room around them, behind them, and perhaps most importantly, space in front of them. Keep that in mind, and you’re golden. The design is very chic. Beautiful wood. A svelte profile. Sustainable cabinets! 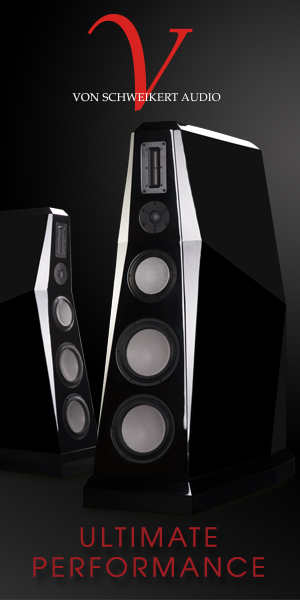 These Gibbon X loudspeakers are a bargain at $15,890 USD/pair. No, that’s not to say they’re affordable or cheap. They’re not. They’re nowhere near affordable or cheap. But then, neither is a Honda Civic. That car is, quite frankly, incredible. It’s peppy, has tons of acceleration, tech, and road worthiness. But for the same money, a Mazda 3 is just more fun to drive. Sorry. It just is. You can disagree, but you’d be wrong. Having driven them both, back-to-back, I can honestly and cheerfully say that the Mazda is clearly the better car, but I understand why folks get the Honda. Brand is important. It’s a thing. It’s important to many. Me? I’d rather have the Mazda. You? Well, that’s up to you. Truth is, either one of those two cars will get you around town. But then, a Nissan Versa will too. And for quite a bit less. Why would anyone ever opt for more? I mean, they’re just cars, right? They’re transportation. And if that argument “works” for you, then you’re right. You can find cheaper speakers. And probably should. But finding a certain level of performance at a certain level of price is another matter entirely. It’s an equation. A Porsche, for example, is a great car. But at $50k, a Porsche will only ever be a daydream for most people. But what if you could get one for half that? That’s where and why we start dusting off the word “bargain.” Because as good as both the Honda and the Mazda are, neither one of them holds a candle to a VW GTI. That car, admittedly, costs a little more than either the Honda or the Mazda. And there’s a reason for that. It’s not a Porsche, but it performs like a Porsche. And that’s … different. Forget about brand. Forget about your pro/con spreadsheet. Just think about the road. That’s what the Gibbon X is asking you to do. Yes, it’s expensive. Yes, it’s probably outside your budget. But if you can somehow get it out on the road – or, in this case, into your listening room – then you’d better hold on to your seat. With those first few bars, you just know bad things are about to happen to your wallet. It’s gonna be ugly. It’s gonna be rough. In the end, that wallet is gonna be flat, torn, bitten-through, holed and charred. And you won’t give a damn. Because that grin on your face says it’s worth every mother-loving penny. Or maybe not. And that’s fair enough. After all, that Nissan is an excellent car. YMMV. So, no, the Gibbon X is not cheap, but finding a better performing car speaker at this price or lower? Yeah. Good luck. As for us, we’re giving it an Editor’s Choice. And this pair of Gibbons is staying here. 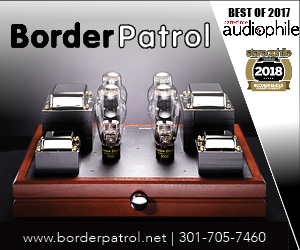 An absolutely full-range and utterly transparent reference speaker for the gibbon series. Easy to drive and easy to place in any room. The gibbon X is a three-way system with a new 3/4 inch ultra-low-mass textile dome tweeter suspended in an inert chamber, a new 7 inch midrange driver with a phase-plug and inverted natural rubber surround in it’s own sealed enclosure and a pair of massive, long-throw 9 inch woofers in a tuned 4-chamber enclosure. Stick Shift VW GTI 2016 — that’s the way to go. I did. Like Butter. Have tried a number of amps on the Xs and the ARC Ref 75SE is easily the best. 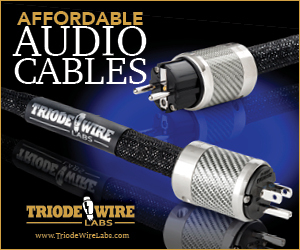 Open, clear, with excellent tonal color and fantastic bass for the long throw woofers. Highly recommended. And thanks for the great read, Scot. I quite like that ARC Ref 75SE as well. 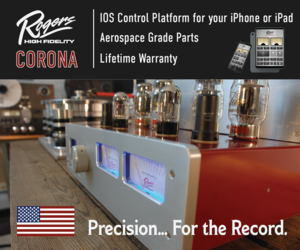 How close can you get with $8249 for the Triton Ref? No idea. I’ve never been able to spend any time with GoldenEar speakers here at Chez Moi. A gap I’m hoping to fill sometime this coming year. Lovely review. Give me a nice story any day. Keep em coming! As a new owner of a ’17 VW GTI Sport (well, since March) in which I had installed an Audeson 600 watt amp, subwoofer, and new door speakers, and as a previous driver of a super-trusty Nissan Versa, thanks for the great analogy. I have DeVore 0/93’s in my sights-I suppose my ARC Ref 150se will be overkill but a nice match nonethess is my smallish room (14’x12′). You’d probably be more than okay with (far more than) half of that power. 75wpc should be more than enough. And I love my ’17 VW GTI SE. How would you contrast and compare the Giibons to the Harbeth 40.2? Me thinks they both may be the result of a similiar philosophy and approach to speaker design and also with regards to price. I think they’re pretty much right-angles to each other. Wow! A great read; informative, funny, thoughtful, great pics, etc. Hi Scott: You took my near-opening line to you when you finally mentioned the GTI -destroying either the Honda/Mazda ! lol. And, keep in mind, the VW will be far better than those at 5-years down the road and particularly 10-years (or older). Back to the loudspeakers. At $15-K/pair US$?, I’d like to know way more out the loudspeakers construction/build quality; for example are the drive-units bolted into the cabinet, or are wood-screws employed ? Cabinet (enclosure) construction details -where are they ? 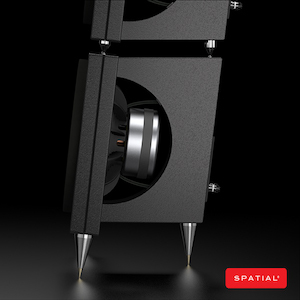 The loudspeakers narrow width (and extended depth) requires a much wider ‘footing’ (i.e. speaker base/platform) for improved physical stability/anchoring. I believe the loudspeaker measures 9″ across (width); naturally, we’d need minimum 1.0″ (25mm) from each side for the loudspeakers “footers” resulting in a 7″ (18 cm.) wide support ? In other words, we have a small-hand wide width to support and stabilize a fifteen-thousand dollar investment ? I’ll be blunt the loudspeaker would be dangerously unstable on anything other than a flat, non-carpeted surface. Even if placed on a concrete floor, the slightest lateral “bump” could easily tip it over (i.e. have it crashing down). I would expect a far wider stabilizing platform (as in chunky metal) to anchor a tall and narrow loudspeaker. At $15-K pair, it should be demanded. Also, curiously, are the speakers footers bolted into the bottom, or wood-screwed ? And what of cross-over topology ? Speaker weight ? Although your listening impressions were fanciful and extended, it lent nothing to whether the designer opted for a linear (i.e. accurate) frequency response, high-power/low-distortion drivers or indeed its cone composition -and no mention of driver manufacturer/source ? You see, at $10-K + ($15-K here), consumers should be very interested in these most critical details. Although your subjective interpretations were interesting, it went on needlessly when in fact some space/ink should have been given to more important considerations noted above. Additionally, at this price point, there is some serious competition; Aerial Acoustics “7-T” ($10-K/pair US$) or the exceptional current KEF Reference 1/3’s ($9K/$14K/pr. US$), of but two that come to mind. The KEF REF 1’s for example are simply superb; accurate (faithful to input signal) technically sophisticated, beautifully constructed (exotic front baffle material, 6-8 bolts securing drivers to that baffle) and most importantly musically astonishing. I’m certain other makes/models would also (should also) be considered; have these guys work for that money -or at least account for it. That’s considered serious money for almost anyone. However, returning to the Gibbon’s; answering whether the woofer, mid-range (and tweeter) are bolted in (or not), baffle density/material/construction details and your thoughts on the loudspeakers narrow factory-footers would clarify things a great deal -and be most warranted. Specs can be found where you would normally expect them to be found I trust you have use of a web browser? I’ve added them above just in case that’s an issue. Personally, I never understood why reviewers pad their reviews with cut-and-paste material found in the manual or on the website. But since you asked. 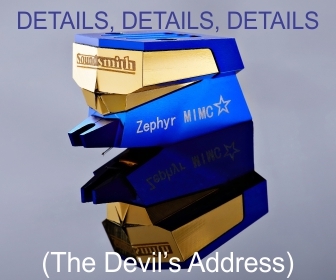 As for construction philosophies or schematics above and beyond what has already been revealed … you’re very much welcome to uncover these mysteries and see then see how and if they are relevant to the impressions above. And I think we all very much look forward to your KEF review. one option for your worry about a thin profile speaker like this, is to use Soundocity outrigger bars… If I order the Gibbons, I would use outriggers. Love the review. How would you compare these with say PMC’s Twenty26? No idea! Maybe, someday, I’ll have some PMC speakers to compare with.